Chulu West peak is situated in a small valley and lay north of Manang, away from the key track to the Thorung La. In fact, there are two Chulu Peaks- East and West. Among them, Chulu West (6419m.) is more elevated one. 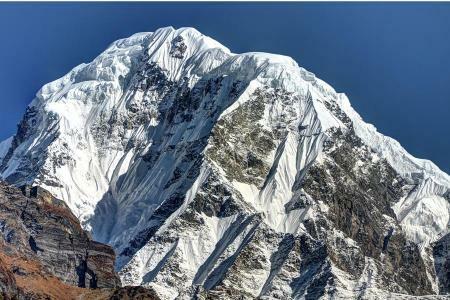 The Chulu West Peak bestows an exciting peak mountaineering option for those trekkers who would love to go to experience adventure in the Annapurna Region. While mountaineering the peak, we will be rewarded by splendid views of peaks like Dhaulagiri, Annapurna, Nilgiri and other massive peaks. Also, climbing the Chulu West Peak requires a good physical condition and a high level of energy. Chulu West peak is one of the parts of the Manang Himal, which is quite specifically included in the bigger Damodar Himal. In the north-to-south way we can observe the pouring of rivers- Nar Khola , Hunlung Khola and Phu Khola. To the south the track is bordered by the Marsyangdi Khola and the Mesokanta La. Chulu west peak tour begins from Beshi Sahar after driving for 5-6 hours from Kathmandu and from Beshi Sahar the way goes up slowly to Manang valley, one of the highest valleys in the world located at an elevation of 5000m. And, from Manang valley the path moves north to the Chulu West Base camp. The major highlights of the trek are passing through the Marsyangdi valley which will mesmerize you with the views of Manaslu, Gangapurna, Annapurna II, III, IV and Tilicho peak; exploring Gyaru and Pisang village and visiting Muktinath temple. Go for climbing the Chulu West Peak (6419m.) 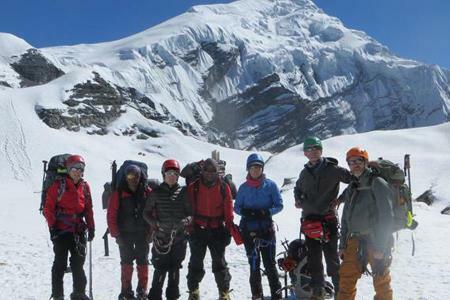 taking support from Unique Adventure and make the daydream of peak climbing experience at the regions of Annapurna come true. Spring and autumn are perfect seasons to go for climbing Chulu West Peak. On your arrival, you will be welcomed by our representative of Unique Adventure at Kathmandu International Airport but reassure about our representative with a display board at the arrival gate. You will be then taken to the hotel where you can either relax in the afternoon or hang around. You will have a dinner in a traditional Nepalese restaurant where we take pleasure in a Nepalese cultural program as well. We will be staying in a hotel for overnight. We today have a final preparations and short briefing for the trek and climb. Day 03 : Departure to Besisahar, overnight at guesthouse. From Besisahar, it will take about 6 hours for us to arrive at Bahundanda . We will walk beside Marsyangdi River and witness the beauty of the nature all around. And moreover, we can also explore the local culture and customs. We will discover that majority of Gurung people are residing here. Located at an elevation of 1310m, Bahundanda bestows superb views. We stay overnight at guest house in Bahundanda. We have two options to reach Manang from Pisang. However, we take up the route via upper Pisang to Geru which is magnificent. And we can see stunning mountains in front of us. Overnight at Manang. On this day we can rest for acclimatization in Manang, We can visit around Manang specially the nearer monastery at Manang. Overnight at guest house in Manang. From Manang (3500m. 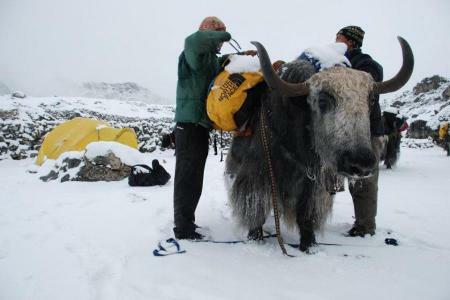 ), we carry on trekking to the Yak kharka. We can see wonderful view of tall peaks while trekking. We trek around 4-5 hours today to arrive at Yak Kharka which is situated at the height of 4200m. It will take around 4 to 5 hours for us to arrive at Chulu West Base Camp from Leder. 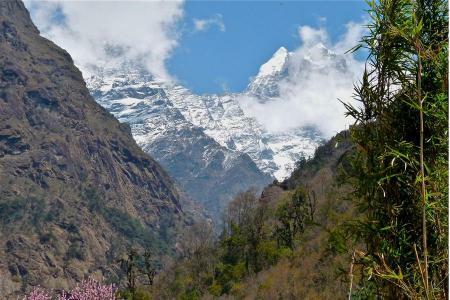 From the base camp, we can see the wonderful view of Annapurna Himalayas. 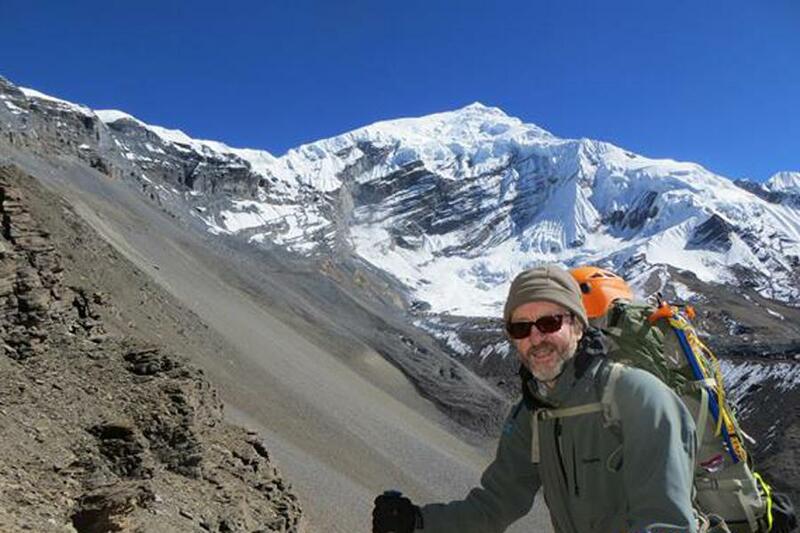 The Chulu base camp is located at the height of 4900m. Overnight at tented camp in Chulu West Base Camp. Today we have another rest day at Chulu West Base Camp for proper acclimatization. We will stay overnight at tented camp in Chulu West Base Camp. We today will continue ascending to High Camp. We are now trekking at the height of approximately 5100m. Here, we can amuse ourselves with the stunning peak view from the top. We will spend the night at the high camp after walking for around 4 -5 hours. It takes around 9 -10 hours to reach our destinations. We have to begin the summit climbing early in the morning. Here we can abundantly enjoy the glorious view all the way through the horizon with towering mountains. We then, reach at the top of the summit of Chulu West (6419m.). Then, we return back to the Base Camp to stay overnight. We move down t o Leder, we can observe magnificent vista of Annapurna all along with more than a few mountains. We have to trek for about 5 to 6 hours downhill. We can see the meadow land where the local people let their yaks graze. Then, we move towards Thorung Phedi which is located at an altitude of 4450m.We will walk for 3-4 hours to reach Thorung High Camp. After passing the well-known pass at Thorung la pass, we straightly walk forward to Muktinath. This is one of the most noteworthy holy sites for Hindus. Sanctified water flows from the 108 taps nearby the Vishnu temple. Muktinath is also home to many tribal Tibetans and Buddhists, who visit the temple. You can also see fire eternally burning by natural gas underground. Overnight at guest house in Muktinath. It takes around 5 hours to reach Jomsom (2720m.) from Muktinath (3800m.). You start the trek moving down the spectacular Kali Gandaki ravine. After passing via Jharkot and Khingar settlements with classic Tibetan art and architecture, you tag on path down to Kagbeni, a prehistoric village renowned for Tibetan art. Now your track passes all the way through the shore of Kali Gandaki and come across the Eklebhatti. Jomsom, headquarter of Mustang is divided into two settlements and Kali Gandaki river passes between these two settlements. In Jomsom, you can enjoy the splendid views of Nilgiri, Tilicho peak. Overnight at guest house in Jomsom. We fly from Jomsom to Pokhara, taking around 20 minutes. The major attractions of Pokhara are natural as well as cultural sites such as lakes, temples of Hindus and Buddhist, caves, mountain views. You can view the north region across the hill, Phewa lake to the snow peaks of the Annapurna, Manaslu, Dhaulagiri ranges. Overnight at hotel in Pokhara. Leaving behind the wonderful countryside, we travel for 6 hours we return back to Kathmandu. We can either take a vehicle for a drive or fly back from the beautiful city Pokhara. On arrival at Kathmandu you will be shifted to the hotel. You can then relax for rest of the day and stay overnight at hotel. This is your last day of your Chulu West Trekking Peak (6419m.). Our airport representative will drop you to the airport and you will depart from Nepal. Airports pick up and drop off (domestic and international both). 4 night's hotel accommodation in Kathmandu with breakfast. Chulu West Peak Climbing permit fee. 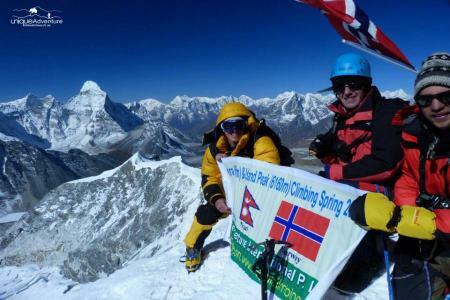 An English speaking experienced trekking and climbing guide trained and licenced by Nepal Mountainering Association (NMA) and Nepal Academy of Tourism and Hotel Management (NATHM), recognised by Governmet of Nepal. 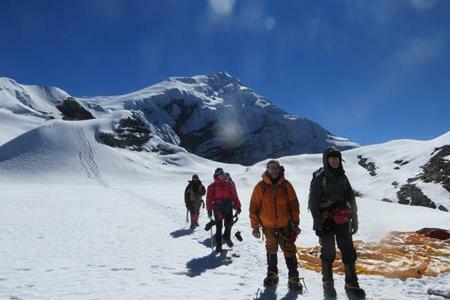 Highly experienced trekking porters to carry luggage (1 porter per 2 trekkers). Staff food, accommodation, equipment, salary & insurance. Domestic flight Jomsom to Pokhara. All necessary ground transportation to/from trekking. Comprehensive first aid medical kit, oxymeter. Unique Adventure duffel bag, sleeping bag and down jacket (refundable). Meals and extra night (more nights than stated in itinerary) accomodation in Kathmandu. Your optional and extended trips e.g. sightseeing, rafting etc. Note: You can bring the necessary gears from your own country or can buy or rent from the stores at Kathmandu.